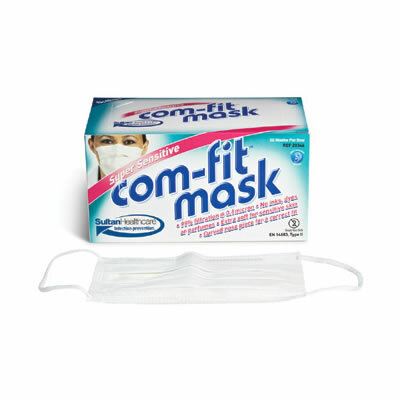 Providing excellent protection against contamination, the COM-FIT Super Sensitive Face Masks from Sultan Healthcare do not irritate sensitive skin. The masks are free from dye, inks, perfumes, foam, and scratchy surfaces. Instead, the masks offer a soft, hypoallergenic, latex-free cellulose inner lining and an inert fluid-resistant polypropylene outer material.